Heritage Towne Lake is an active adult community 25 miles northwest of Houston in Cypress, Texas. This unique, resort-style lake community is the age-restricted enclave of the Towne Lake master-planned community. Heritage Towne Lake is sprawled along a 350-acre stocked lake with miles of shoreline for water and boating activities.Heritage Towne Lake is the jewel of the much sought after area of Cy-Fair, surrounded by restaurants, shopping, and recreational opportunities. This 55 and over community is bordered by 290, West Road, and Barker Cypress Road. Construction started in 2007 by K. Hovnanian. After completing approximately 40 homes, the remainder of the community was acquired by Village Builders. There is also a small enclave of custom single-family homes offered by Goshy Homes and Jaeger Homes withing the 55+ Heritage active adult neighborhood. Heritage Towne Lake includes a magnificent 16,000 square-foot clubhouse filled with amenities uniquely designed around the needs of active adults. These include a fitness center, hobby and game room, ballroom, and library with computers. Outdoor enthusiasts can enjoy the outdoor pool, walking and biking trails, and of course the boating and fishing activities in and around Towne Lake. 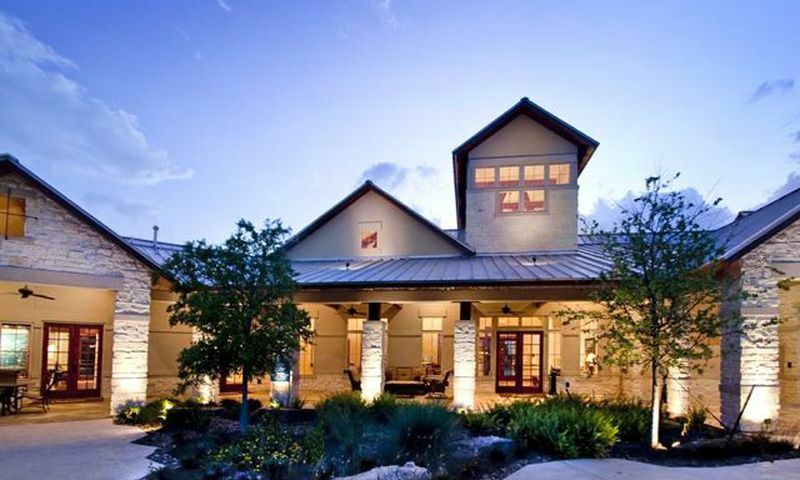 In addition to their private clubhouse, residents have access to all the Towne Lake amenities for an additional fee. This includes an additional fitness center, hobby and game rooms, a ballroom with a stage, full kitchen, outdoor pools, water park and so much more. There are endless options to have fun and socialize with your neighbors. Plans are in the works to construct a future town center, which will provide retail and professional services, restaurants, and shopping. However, in the meantime Heritage Town Lake's convenient access to major thoroughfares provide residents with the means to obtain everything they want or need. Heritage Towne Lake is a single-family home community with homes ranging in size from 1,553 to 3,372 square feet. There are five different collections to choose from, all with a variety of floor plans. Upon completion, Heritage Towne Lake is expected to include 440 homes. Approximately the first 40 homes were built by K. Hovnanian prior to being taken over by Village Builders. The K. Hovnanian Homes are now available on a resale only basis. Of the three new home collections offered by Village Builders, the Garden Collection is the most modestly-sized one, ranging in size from 1,553 to 2,086 square feet. One-story homes in this collection feature two bedrooms, two bathrooms, and a two-car garage. The Veranda Collection offers more options with stainless steel appliances and 42-inch cabinets and floor plans range in sizes from 1,949 to 2,754 square feet. This collection also features two or three bedroom homes with two to three-and-a-half bathrooms and an attached two or two-and-a-half-car garage. The Courtyard Collection is the highest end option. Homes in this collection range from 2,500 to 2,996 square feet and have three bedrooms with at least two-and-a-half baths and a two or-three-car garage. All collections feature three different floor plans, with great room concepts for today's lifestyles, attached garages, and covered patios. Harbor Gates at Heritage, is a gated enclave of 60 custom single-family homes. The homes within Harbor Gates at Heritage have 2,580 to 3,372 square feet and offer two to four bedrooms, two-and-a-half to four bathrooms, and an attached two or three-car garage. These unique homes were built by Goshy Homes and Jaeger Homes. With a wide variety of builders and floor plans within Heritage Town Lake, homebuyers are sure to find the perfect place to call home. Residents at Heritage Towne Lake enjoy a resort-like lifestyle that definitely centers around the native Texas landscape and the spectacular Towne Lake abundant with fish and inlets that branch into neighborhoods throughout the community.However, fishing and boating are not the only things to do at Heritage Towne Lake. The community has a full-time activities director on hand who arranges for bus trips and assists with activities as needed. For a growing community, there is an impressive list of social clubs already started. Fitness-minded folks can join a yoga session or have fun with line dancing. For enjoying a low-pressure game with neighbors, Heritage Towne Lake arranges games of bridge, bingo, poker, and Mah Jongg. Book clubs, wine tastings, and Saturday coffee are just a few of the activities that residents can enjoy in Heritage Towne Lake. Only yards from Heritage Towne Lake's doorsteps, residents can find three top facilities: The Richard E. Berry Educational Support Center, Lone Star College - Cy Fair, and a branch of the Harris County Public Library. In addition, the immediate Cy-Fair region also has excellent public golf courses, hospitals and medical services, churches, shopping, and entertainment and recreational opportunities. For example, the Berry Center is one of the finest educational support centers in the country. Not only does it host school competitions and graduation ceremonies, but also provides entertainment in the form of concerts, banquets, and theatrical events. A little farther out, Houston has many museums and centers of interest, such as the Buffalo Soldiers National Museum, Contemporary Arts Museum, Houston Center for Photography, Museum of Fine Art, Lawndale Arts Center, and many others. Residents can also entertain their grandkids easily by taking them to the Houston Zoo and the Children's Museum. Sports fans can watch the Houston Astros play in Minute Maid Park in downtown Houston. For fast-paced excitement, Sam Houston Race Park has many horse racing activities for those who enjoy thoroughbreds. Heritage Towne Lake provides endless opportunities for entertainment for active adults in Houston, TX. Resident have access to a private clubhouse filled with options for social and physical activities. The Lodge - 16,000 Sq. Ft. There are plenty of activities available in Heritage Towne Lake. Here is a sample of some of the clubs, activities and classes offered here. The Garden Collection offers six floor plans that range in size from 1,553 to 2,086 square feet. Homes feature two bedrooms, two bathrooms, and a two-car garage. The Veranda Collection offers seven floor plans that range in size from 1,949 to 2,754 square feet. Homes feature two to three bedrooms, two to three-and-a-half bathrooms and a two or two-and-a-half-car garage. Some homes also have a den and a two or two-and-half-car garage. There are seven floor plans offered in the Courtyard Collection that range in size from 2,500 to 3,030 square feet. These homes feature three bedrooms, plus a den, two-and-a-half or three-and-a-half bathrooms and a two or three-car garage. K. Hovnanian was the original builder in Heritage Towne Lake. They completed 38 single-family homes before turning over the community to Village Builders. Please Note: Floor plans are not available at this time. Harbor Gates at the Heritage is an unique enclave of 60 custom homes built by Goshy Homes and Jeagar Homes. This little cluster of homes is a separate gated part of the community that is perfect for active adults who want a custom homes. These homes range in size from 2,580 to 3,372 square feet and offer two to four bedrooms, two-and-a-half to four bathrooms and two or three-car garage. This is a great neighborhood. It's so beautiful and relaxing to live hear. There are a lot of activities so you will make friends easily. New businesses are opening daily around us, so we have an abundance of choices. We love our home at HTL. The clubhouse is fantastic and the lake is beautiful. I do wish the homes were spaced out a bit more but the features inside the home are very nice. We have gorgeous hardwood flooring, a fantastic kitchen, granite countertops, a nice fireplace and a really large master. We've lived here a couple years and have not had any problems with the house. 55places.com is not affiliated with the developer(s) or homeowners association of Heritage Towne Lake. The information you submit is distributed to a 55places.com Partner Agent, who is a licensed real estate agent. The information regarding Heritage Towne Lake has not been verified or approved by the developer or homeowners association. Please verify all information prior to purchasing. 55places.com is not responsible for any errors regarding the information displayed on this website.